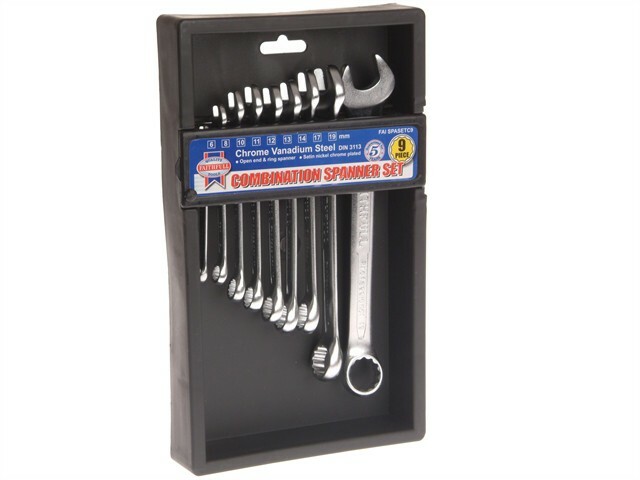 Professional high-quality combination spanners, forged from chrome vanadium steel, hardened, tempered and satin chrome plated for corrosion protection. Manufactured to DIN 3113 . Broached jaws and rings to ensure a consistent tolerance and a guaranteed accurate fit. Both the jaw and ring end are set at a 15° offset for ease of use in awkward positions.